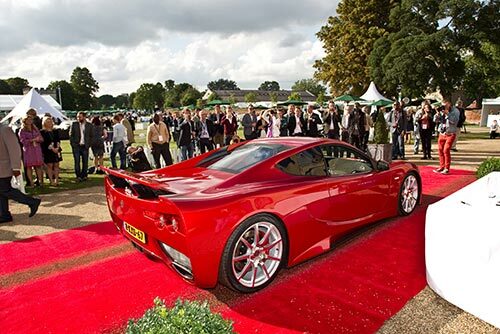 Approaching its ninth year in 2014, Salon Privé London is firmly established as the UK’s most prestigious Luxury Super Car Show & Concours d’Elégance. Several new product debuts, as well as the Chubb Insurance Tour d’Elégance ‘opening ceremony’, the world famous Chubb Insurance Concours d’Elégance, the Audemars Piguet British Super Car Show, the EFG Private Bank Art and Memorabilia Fayre, the Royal College of Art ‘Concours of the Future’ exhibition and a host of exclusive luxury goods exhibits place Salon Privé among the leading automotive shows of the world, alongside the U.S.’s Pebble Beach and Italy’s Villa d’Este. A new attraction for 2013 was the Audemars Piguet British Super Car Show, which attracted over 50 new cars displayed by manufacturers from all over the world in categories including The Hyper Car Collection and Concepts and Prototypes Class. Super Car prize winners for 2013 included the Rolls-Royce Wraith, Pagani Huayra and Vencer Sarthe, with the categories and entrants already looking stronger for 2014. Please see the event organiser website for prices and to order tickets. Please check event opening/closing times prior to travel.